Come live yours at GW. Living at GW grants you the rare opportunity to encounter a variety of new cultural experiences while learning and interning at world-class institutions. Residence hall life is an essential aspect of your college experience, and some of your lifelong friends will first be your neighbors and roommates. During your time at GW, you’ll likely find fellow Colonials who share your interests. Whether it's leadership, politics, arts and culture, athletics or service that moves you, GW students engage in more than 450 clubs and student organizations on campus. Pursuing your passions and sharing your diversity plays an integral role in building our community. D.C. is a city full of leaders, impactors and innovators but you won’t have to go far to meet them. You’ll hear them speak at historic venues on campus (with other celebrities sitting right next to you), chat in the produce section at Whole Foods, run into them on the street or even take a selfie while waiting for your morning coffee. One of the many perks of living on our campuses in the heart of the nation’s capital: A 10-minute walk, bike or Metro ride from Foggy Bottom will take you almost anywhere in D.C., even to the National Mall in time to snap that perfect sunrise photo. Many dream of interning at the White House and at GW, it’s a reality — in Spring 2016, we had more participants than any other school. So if you get chosen, you can not only walk to your internship from your residence hall or class, but you can also play a critical role in an honored D.C. tradition. GW’s Foggy Bottom Campus sits just blocks from the White House, U.S. State Department, the National Mall and world-class research centers, providing students with one-of-a-kind learning and internship experiences. 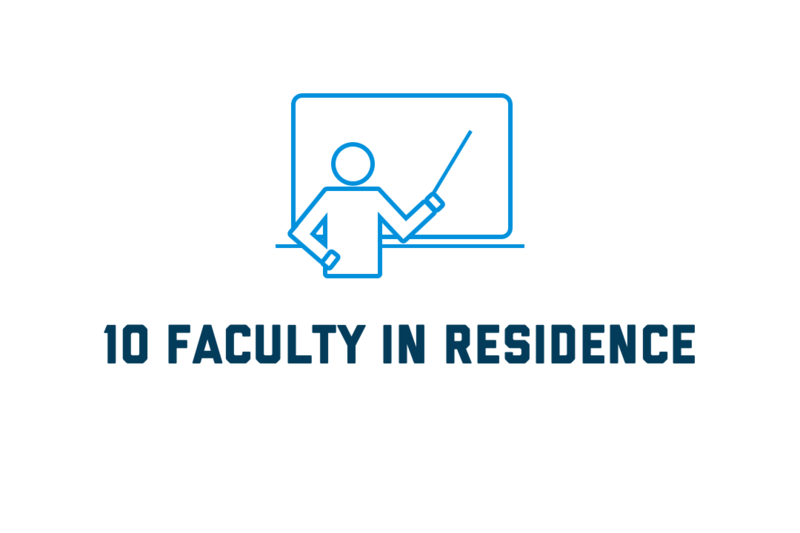 You won’t have to walk far to find unparalleled educational opportunities: Dozens of the finest research and liberal arts learning facilities in the region can be found around every corner at GW. On campus, you’ll study and live with peers from all over the world while learning from renowned faculty in our classrooms. If you’re looking for open-air lawns and lush green spaces within D.C.’s metropolitan setting, you’ll find it at our Mount Vernon Campus, affectionately known as "The Vern," which sits three miles northwest of Foggy Bottom. 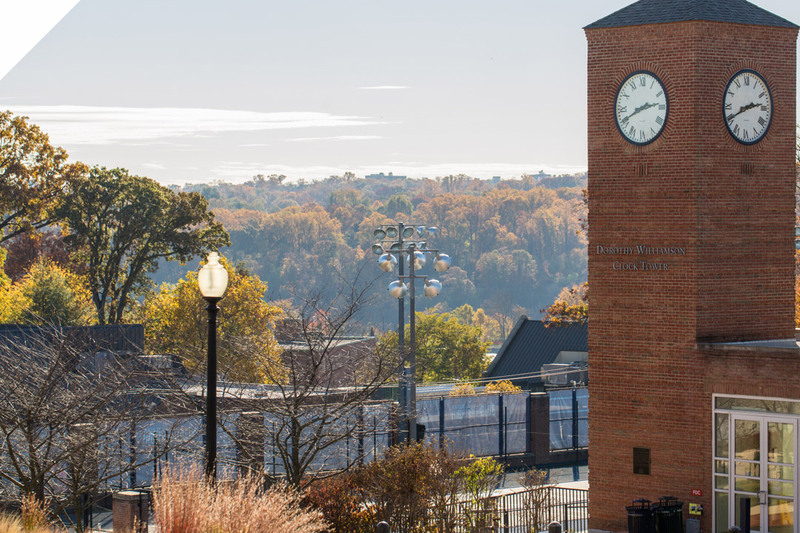 The Vern’s 25-acre campus is composed of athletic facilities and residence halls and is never more than a short ride from Foggy Bottom on our Vern Express shuttle, which is available 24 hours a day. Our Virginia Science and Technology Campus (VSTC) houses facilities dedicated to nationally recognized STEM-H programs related to health sciences, big data and analytics, high-performance computing and more. 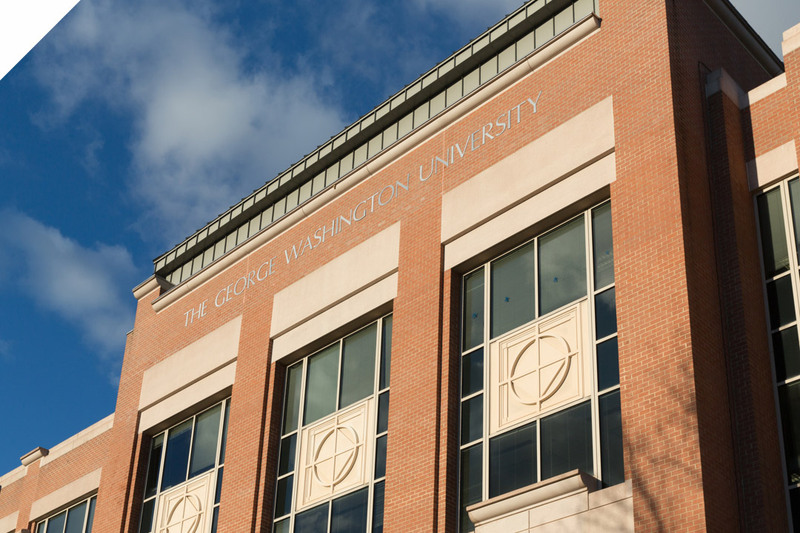 Graduate education centers in Alexandria and Arlington provide educational opportunities to local working professionals, while a growing number of online programs make it possible for students around the world to attain a GW education. 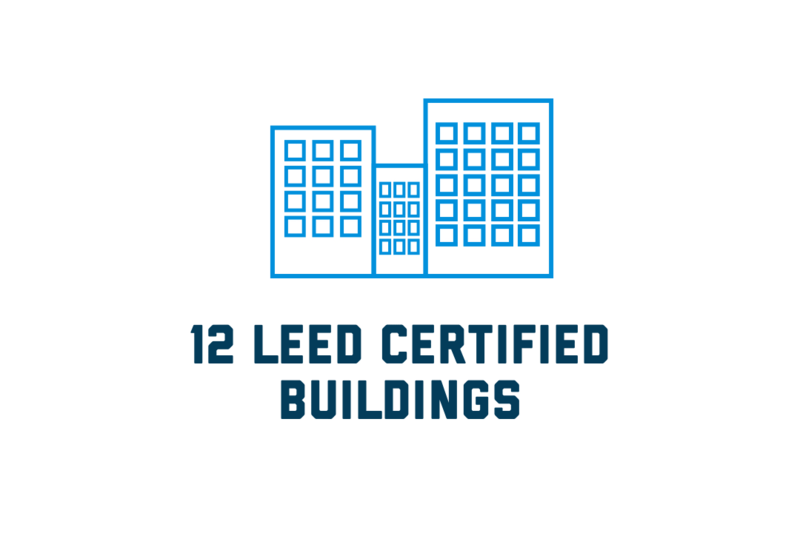 In your first three years, you’ll live in one of 26 residence halls on the Foggy Bottom and Mount Vernon campuses. You can choose your room based on costs, hall amenities, location and even select roommates through GW’s iHousing program. Room styles vary per hall and include multi-person units, singles, studios, suites and some apartment-style rooms with kitchens. Through our affinity housing you can live in groups of like-minded students who share the same passion for sports, literature, film and more. Our academic residential communities — such as the Women’s Leadership Program and the Politics and Values Community — integrate critical thinking into residential life. All new buildings and major renovation projects at GW are constructed to meet current accessibility standards, and all shuttles serving GW routes are designed to meet ADA accessibility guidelines and requirements for safe and secure transportation. Take a look inside Thurston, which houses more than 1,110 of our first-year students. Rooms include options for four-, five- and six-person suites as well as a limited number of doubles and triples. District House is our newest and second largest residence hall. While some students can live in two-bedroom units holding four people or studios holding two, District House also has special affinity housing where 16-20 students from approved student organizations can live, learn and experience together. 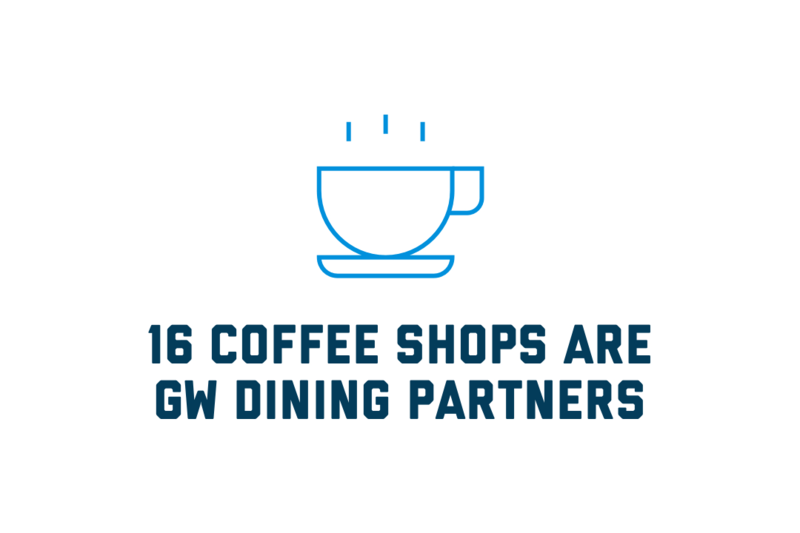 The city of D.C. is a big part of life at GW, including where and how our students eat. Our open dining plan provides flexibility and personalization, offering you the opportunity to use yours at more than 90 dining and grocery partners on or near the Foggy Bottom and Mount Vernon campuses, and around the city. Grab a salad with some friends between classes or power up before a big exam with a coffee from one of the many on-campus coffee shops. Vegan, vegetarian and gluten-free options are widely available for your dietary preferences. For any given meal, you could explore the city through a variety of restaurants or instead enjoy a quiet evening at home by cooking up some food you bought at the grocery store. GW is also home to a student-run food pantry. No matter your dietary preferences or your busy schedule, your dining plan provides you with unique, healthy and convenient options to meet your needs and tastes. 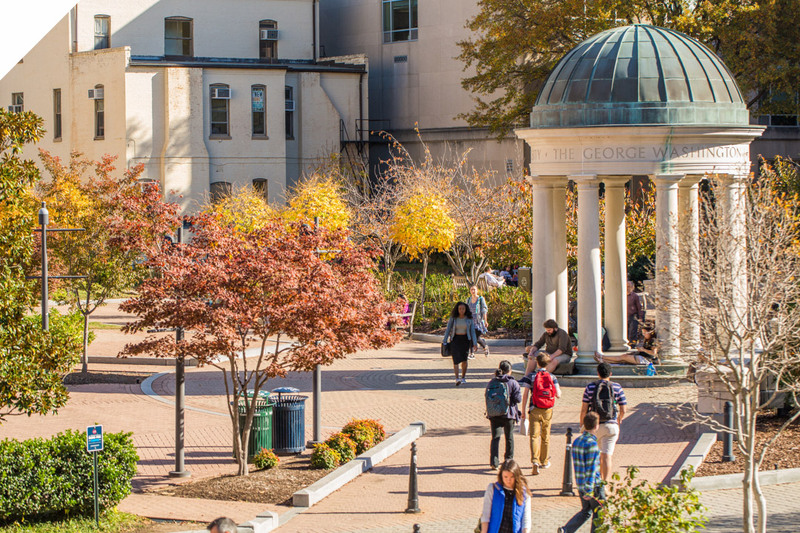 Student safety is a top priority at GW, and our Division of Safety and Security provides a secure campus environment at each of our locations with the partnership of all areas of our university. We also partner with local law enforcement and the community to keep our students safe. With more than 100 sworn officers, the GW Police Department protects the community by providing 24-hour patrol services to the Foggy Bottom and Mount Vernon campuses and overseeing security at GW’s Virginia Science and Technology Campus. If you experience an emergency on campus, you can download the PAL app to set off a silent alarm on your phone or use it to report crime tips. When you’re looking for a safe ride around Foggy Bottom, schedule 4Ride, a late-night service that transports you to and from buildings on campus. You can schedule your ride up to two hours in advance and can track the van’s progress as it arrives to pick you up. Emergency updates are available for students and their families on our Campus Advisories website.